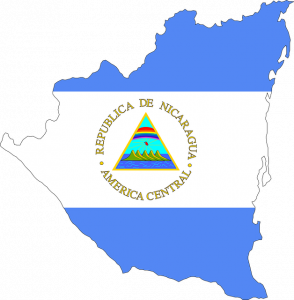 Nicaragua (MNN) – Clashes between the Nicaraguan government and protestors have continued on with vigor. After a month of civil unrest, dozens of people have been killed—perhaps more than 60. The violence reached a fever pitch over the weekend with at least two more people being killed. The protests began last month due to proposed social security reforms. The government redacted the proposal, but it was too late. The protests which were the worst in Managua also showed up in Masaya, Chinandega, Granada, Leon, and other regions. The people are angry about the violence that came from the protests. And some demonstrators even called President Daniel Ortega a murderer. The people are calling for President Ortega and Vice President Rosario Murillo to step down. The unrest has affected the entire country, even those who are staying out of the political fight. Virna Segovia with Compassion International says since the protests broke out, their child sponsorship programs have been stilted. Several of their Implementing Church Partners (ICPs) have had to temporarily shut down operations. Normally, the attendance rate is over 80 percent. After the government redacted their social security reforms, it appeared that things would calm down. However, the anger has spread instead. Segovia says they know that nearly 50 people have been killed so far. The exact number is difficult to determine, especially in a constantly changing situation. Even where the ICPs are still open, parents are hesitant to let their children attend. In the area around Managua, for instance, the situation is still too volatile. But the ICPs aren’t the only ones affected by the protests. Many places of employment have shut down because nearby protests have made traveling to work too dangerous. This means many Compassion parents have been out of work. 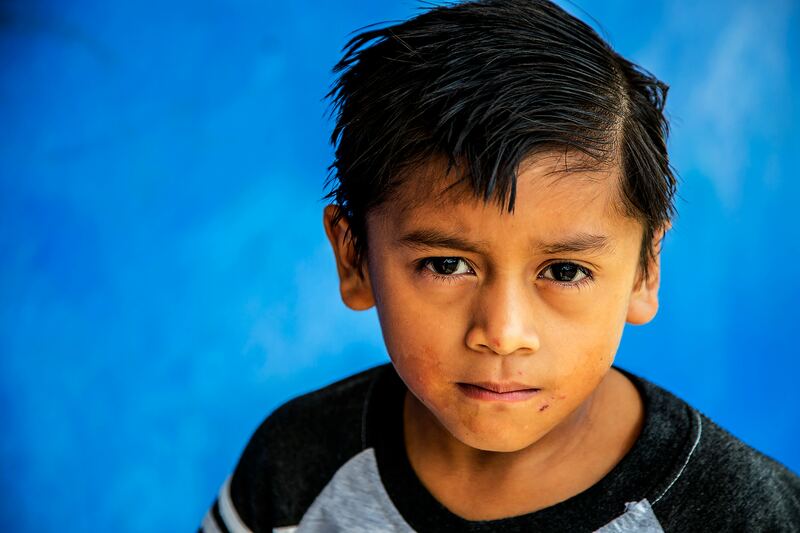 Compassion’s church partners are visiting the homes of the children, bringing food to the parents to make sure their families will still be able to eat. She says that most Christians consider that prayer is the best way to approach this issue, rather than getting involved with the protests. 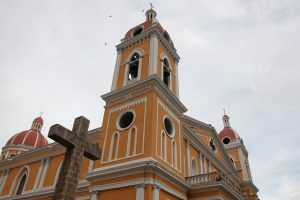 However, she recently saw the representative of the Assemblies of God Church in Nicaragua on the news, inviting all Christians to a massive event held in one of the main plazas of Managua. The plan is to pray and hold a campaign, asking the government to cease violence and look for a peaceful solution. 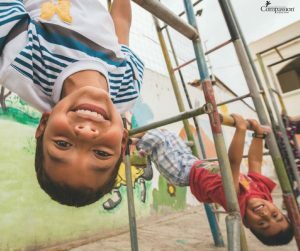 There are a few ways you can be praying for Nicaragua from afar. Segovia asks you to pray for security for the ICPs, the staff, and the children. “They can pray that God will protect us as we do our work, as we try to help the children in need in Nicaragua,” She says. Additionally, she says we can be praying for all NGO’s to be able to continue their work, despite the intense political situation. Also, be praying for the people involved in these negotiations to be able to sit and talk and find a peaceful solution to the unrest. “That is not easy… because of the increasing violence and more killings that have happened during the last few days, people [are] asking Daniel Ortega and Rosario Murillo to—just to leave the government. They don’t want them anymore,” Segovia explains. She believes this issue is the hardest to believe there could be a solution to. Ask God to bring about a peaceful solution in Nicaragua. 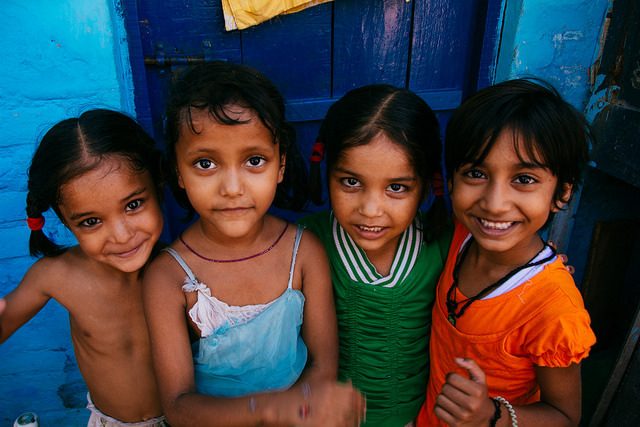 Pray for the Gospel to be a source of lasting peace and reconciliation.